Michaela Wiesbeck. Radio producer: Peter Bürli. Mixed and mastered by Michaela Wiesbeck. Manfred Papst. Produced, published and copyright by Intakt Records, Patrik Landolt. ﻿Das Solo-Konzert von Irène Schweizer in der Tonhalle in Zürich «geriet zu einer Sternstunde», schreibt Manfred Papst, Jazzkenner und Feuilleton-Chef der «NZZ am Sonntag». Irène Schweizer spielte ein Programm, das neben eigenen Kompositionen und Improvisationen auch Stücke von Thelonious Monk enthielt, von Jimmy Giuffre, Carla Bley – und von Dollar Brand. Es war alles da an diesem Abend, was wir an Irène Schweizer so lieben: die Frische, die Neugier, der offene Geist, dem vom Ragtime bis zur Zweiten Wiener Schule, von melomaner südafrikanischer Hymnik bis zu den Eruptionen Cecil Taylors nichts fremd ist. Diese Künstlerin ist so impulsiv wie nüchtern, so bestimmt wie bescheiden. Der Auftritt endete, wie er begonnen hatte: mit stehenden Ovationen. 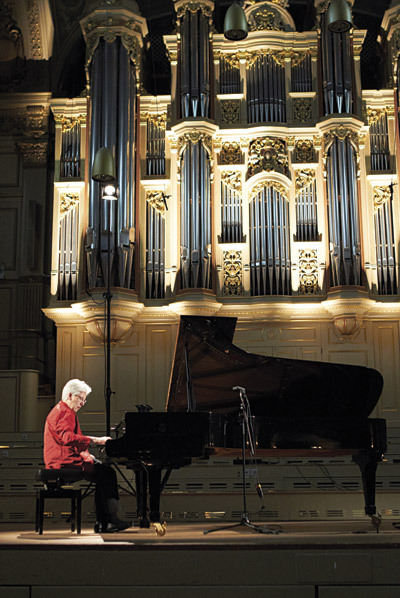 The pianist Irène Schweizer, one of the most important exponents of contemporary Jazz, at the same time rebel and innovator of the highest order, gave a solo recital in the Great Hall of the Tonhalle, which is world-famous for its acoustics. She played a programme which, alongside her own compositions and improvisations, included pieces by Thelonious Monk, Jimmy Giuffre, Carla Bley – and by Dollar Brand. The performance turned out to be one of her finest hours. 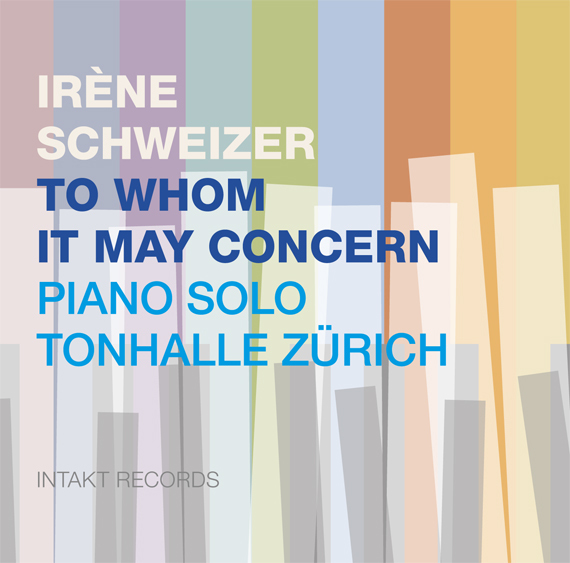 Everything we appreciate so much about Irène Schweizer was there that evening: the freshness, the curiosity, the open mindedness that is familiar with all that from Ragtime to the Second Viennese School, from melomaniacal South African hymns to Cecil Taylor eruptions. This artist is as impulsive as she is down-to-earth, as determined as she is modest. Her performance in the Tonhalle ended the same way it had begun: with a standing ovation.